This is one of my favourite lunches or light dinners. The flavours put simply, work so well together. 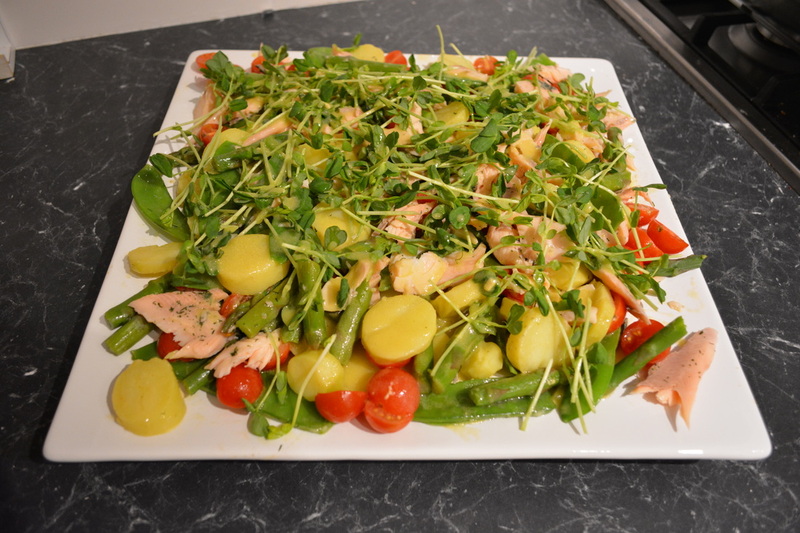 I love smoked trout, and I love the vegetables, the dressing is very nice, it binds it all together, it is amazing how you get great flavours with little effort. I have to say this is something I would take on a picnic on a warm summers day. I would dress the salad without the bean sprouts, put it in the cooler until needed. Then when at the picnic just add the bean sprouts just before serving to add freshness to the salad. Place the potatoes in a large saucepan of salted cold water, bring to the boil, cook for 12-15 minutes or until tender. Drain, allow to cool slightly, then peel away the skin with a knife. Place the olive oil, vinegar, mustard, salt and pepper in a screw top jar, shake vigorously so the mixture combines. Cook the asparagus for 3 minutes in boiling water. Cook the snow peas for 2 minutes in boiling water. Cut the peeled potatoes into 1cm thick rounds and add to a bowl with the halved cherry tomatoes, asparagus and snow peas. Add the dressing, then toss to combine. 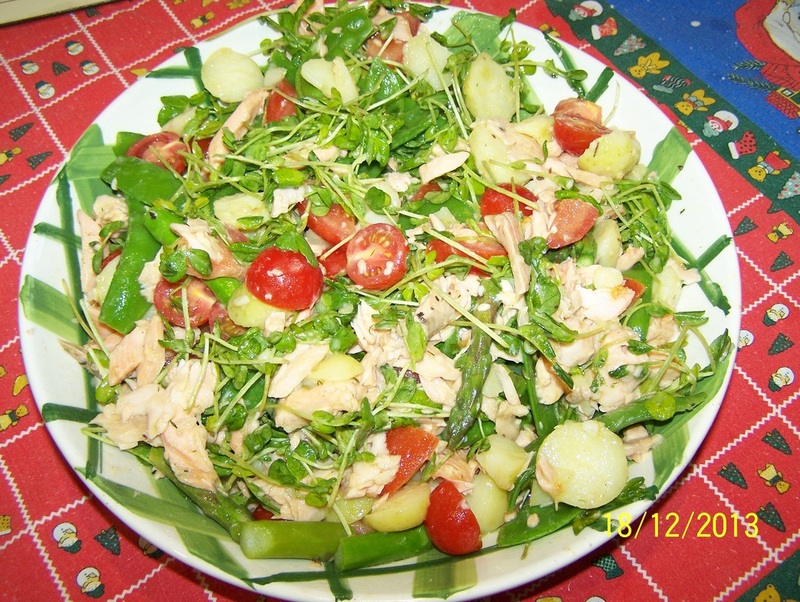 Taste for seasoning, add the snow pea sprouts and flaked ocean trout, serve immediately.